The more than 1.9 million online and mobile banking customers of DBS and POSB can now send money instantly to any Visa cardholder worldwide, plugging a gap in the traditional wire transfer or remittance services. The Visa Personal Payments has kicked off with instant transfers to more than 200 million Visa credit, debit or prepaid cards worldwide. It is targeted at foreign professionals working in Singapore and parents with children studying overseas, according to the announcement yesterday. Transfers to locally issued Visa cards have been available since 2010. But they were not real-time until February, when this new service was introduced. Ms Ooi Huey Tyng, Visa's country manager for Singapore and Brunei, said that the service has both domestic and international reach unlike traditional wire transfer or remittance. Additionally, Visa Personal Payments go directly to a recipient's credit or debit card account. Recipients do not need to make a trip to a physical outlet to get the money, she added. 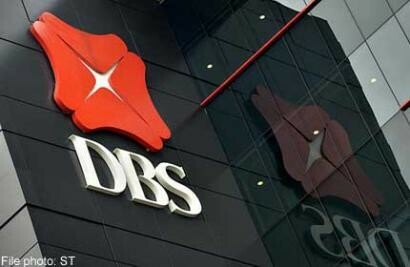 DBS said it has processed 150,000 transactions, mostly to overseas accounts, since February. Senders must first add a payee on DBS' or POSB's website by entering the recipient's name and 16-digit Visa card number. They will be asked to enter their ID and password, as well as a one-time password (OTP) randomly generated on security tokens. Transfers - capped at $2,500 daily - can be made on DBS' and POSB's website or via the DBS and POSB mBanking smartphone app. An OTP is required for every transaction. Users will also get an SMS alert with details of the transaction. Recipients can withdraw funds in local currencies at any ATM with the Visa Plus sign using their credit or debit cards. They can also use the money to offset spending on their credit cards. For now, senders pay a promotional handling fee of $2.50 to $5 depending on where the recipient is located. From September, the handling fee will increase to $5 to $10. Transfers to locally issued Visa cards are free. DBS said its rates are competitive. The handling fee for a bank wire transfer, for instance, varies from $25 to $40 regardless of the amount sent. Remittance service provider Western Union, for example, charges $6 for amounts less than $100 to the Philippines. For amounts more than $100, its handling rate starts at $7. Technical director Tan Hock Meng, 58, said he would have considered the payment option if it had been launched earlier. He sent his two daughters overseas for their university education four years ago. To save on handling charges, he wired their tuition fees and expenses in a lump sum to their bank accounts in Malaysia, Australia and Britain.